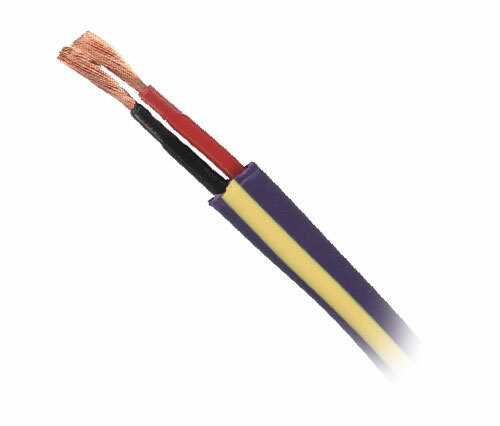 Vantage - 16 awg 2 conductor Bus Cable 600 volt insulation Vantage label 1000 ft.
Home > Products > Infrastructure (i.e. Enclosures) > 16 awg 2 conductor Bus Cable 600 volt insulation Vantage label 1000 ft.
16 AWG 2 CONDUCTOR BUS CABLE 600 VOLT INSULATION VANTAGE LABEL 1000 FT.
16 awg 2 conductor Bus Cable 600 Volt insulation, Vantage label (Sold in 1000 ft rolls). Vantage Station Bus (VDA-0143-BOX) provides the low-voltage wiring infrastructure from enclosures to stations and keypads. Insulation for this cable is rated up to 600* volts. InFusion Station Bus carries the picofarad rating to meet the distance and power specifications for Vantage installations. In addition, Station Bus is the only approved low voltage cable for Wirelink station installations where line and low voltage are present in the same electrical back box.